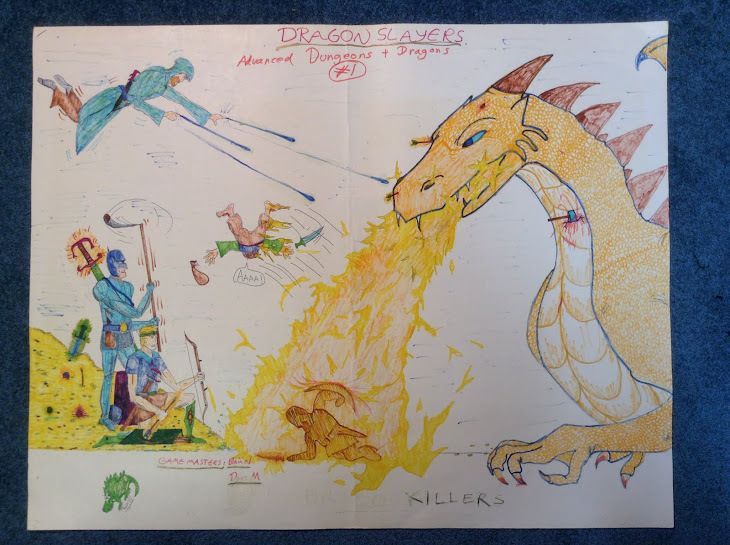 Tragically, the original artwork by Dee for the Deities and Demigods book was lost. However, he is planning on recreating 22 pictures from the Melniboneán Mythos chapter in the near future. Anyone interested in this project, and possibly obtaining some prints or postcards from Dee’s ‘kickstarter’ project, can find more information here. Elric as Chaotic Evil, eh? Chaotic Neutral, maybe. Wonder what it would make Stormbringer ('A thousand times more evil than thou'): Super Chaotic Mega Evil? I would agree , chaotic evil is totally stretching it. Ok, he would go a little nuts when using Stormbringer, but that was more of being in beserk mode than calculated evil. 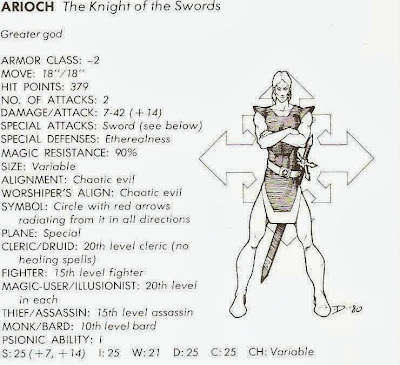 And never once in the Elric saga does Arioch use a bloody sword... Magic Resistance 90%? He's a bloody Lord of Chaos!!!! Oh, the write-ups were a bit ridiculous. 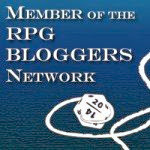 But, it's a difficult problem - D&D doesn't really model Moorcock's stories, so what to do? 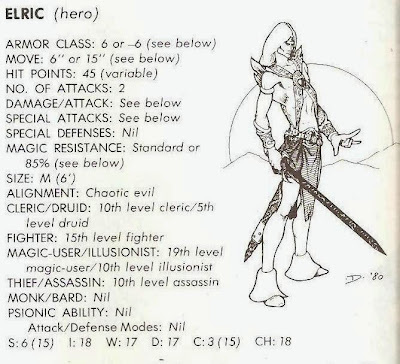 Nevertheless, I hope we can all agree that Elric's swash boots were so super-groovy as to represent a power in their own right. And I still think Arioch looks like that guy Dee drew, no matter how many times I read the books. Yeah, Dee's depictions of the Melnibonean creatures and characters deeply shaped how I imagined them for years afterwards (and even today, to some extent). 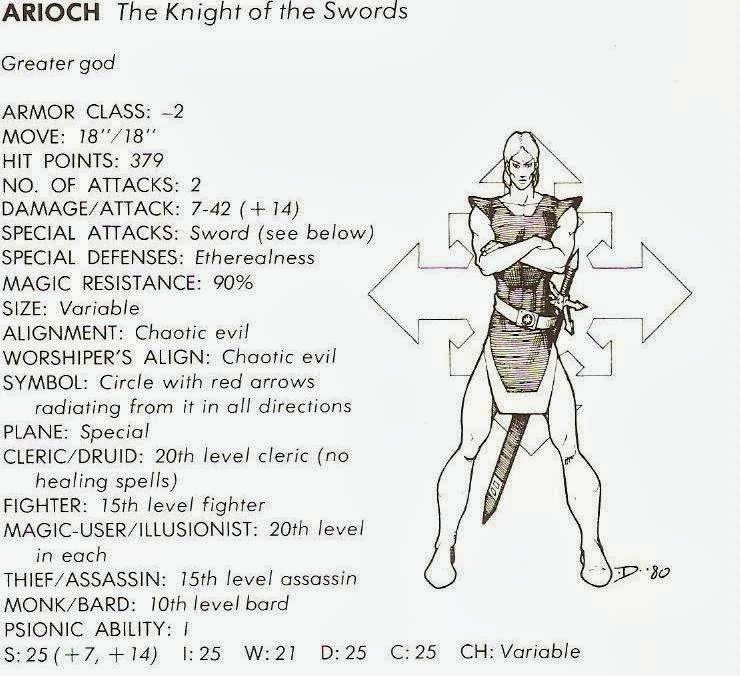 The AD&D stats for the Cthulhu deities are equally ... odd. I vaguely recall the Arthurian and Nehwon stats being somewhat less implausible (although still not quite right).